Discussion of your salt water fishing, your rig, setups, tackle, technique, etc. We usually charter a boat for some bay fishing at least once a year in Galveston. 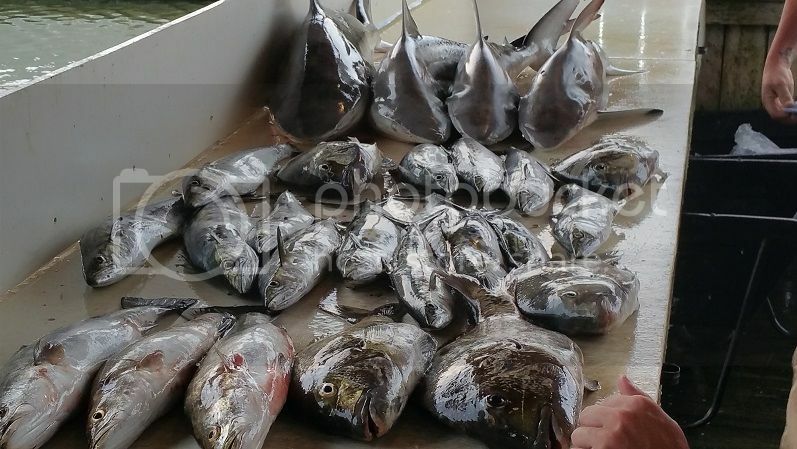 This is our catch from 2015, my wife, me and my SIL went out with our regular guide. Lots of shark that day, sil caught a 6' reef shark we had to release. These trips are always fun. That reminds me of a time when I guided for Striped Bass here locally. 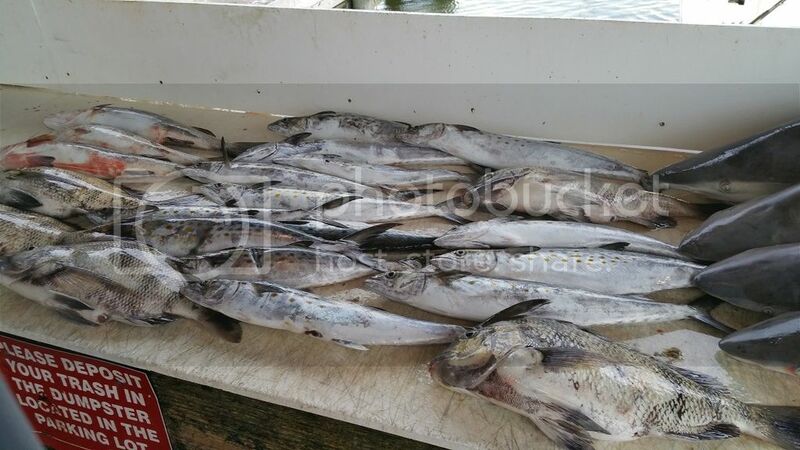 Stripped Bass usually weigh from 20 to 60 pounds. We had a client from Texas that took home over 1700 pounds of fillets of Striper meat.